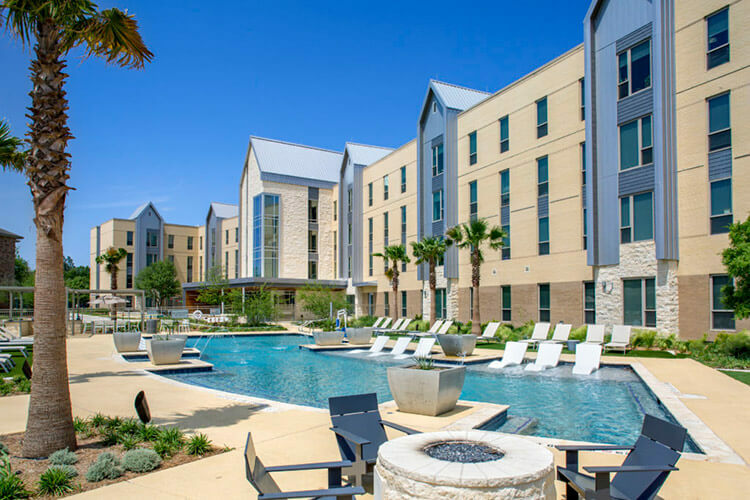 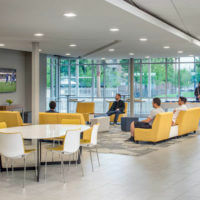 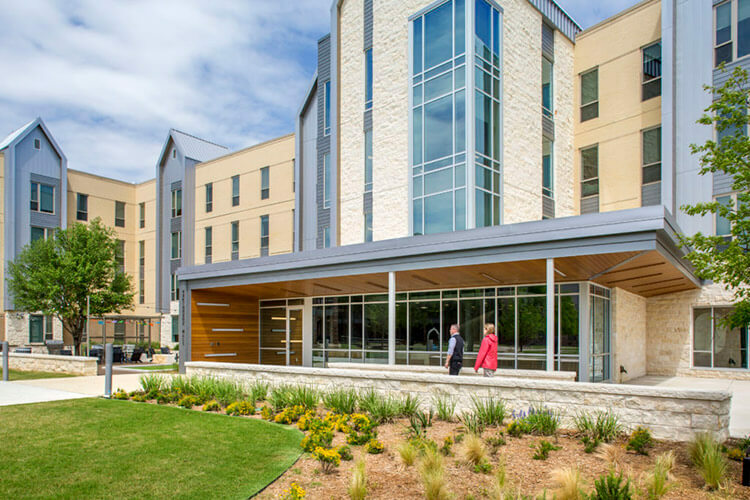 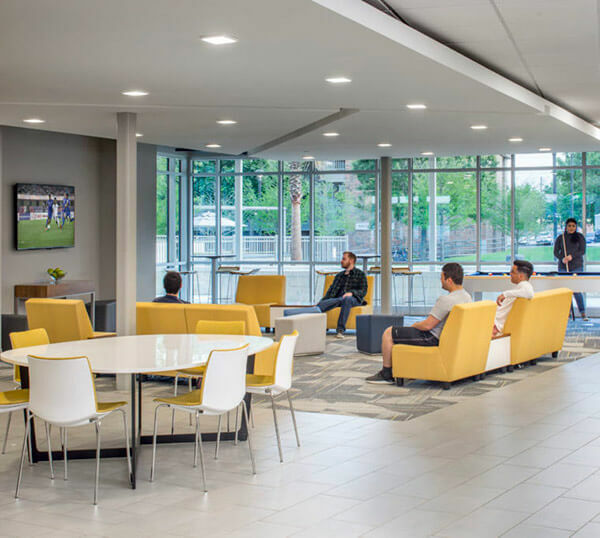 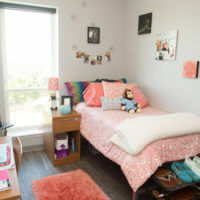 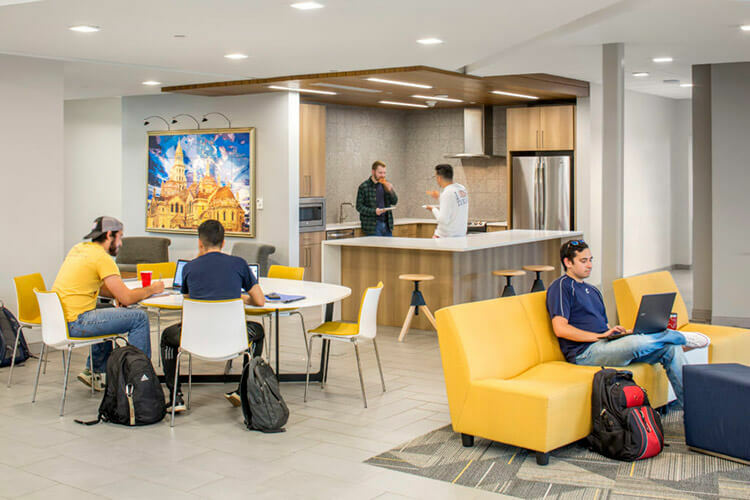 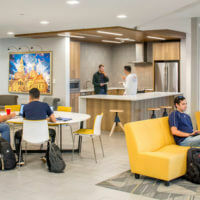 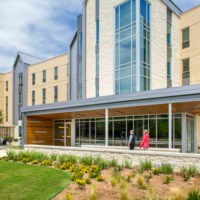 Périgueux Hall is the newest residence hall at St. Mary’s, opened in Fall 2017, and is the first completed phase of a multi-phase construction project that established The Village at St. Mary’s. 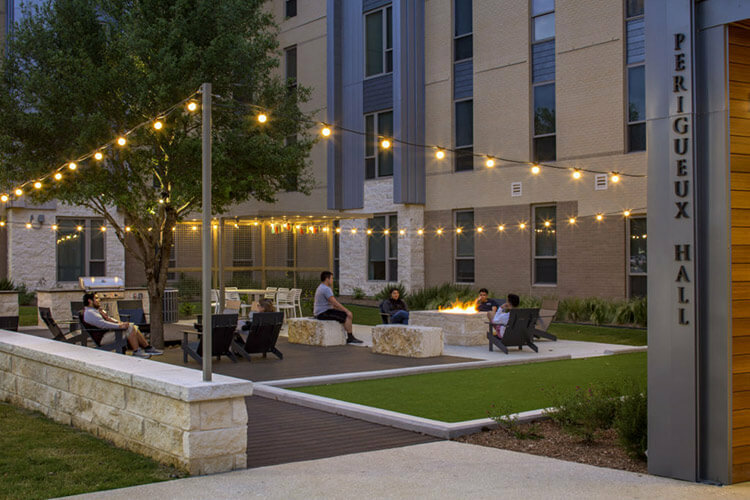 This contemporary, suite-style living community is for junior- and senior-level students with four private rooms and two complete bathrooms. 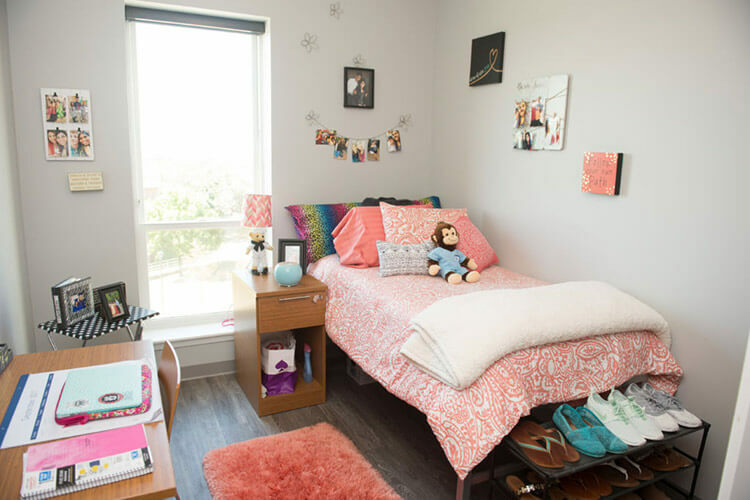 Each bedroom has a built-in closet, a desk and chair, drawers and XL twin bed that can be rearranged in the room. 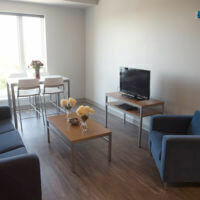 Each suite comes with a furnished living room space that includes a couch, chair, entertainment stand and coffee table. 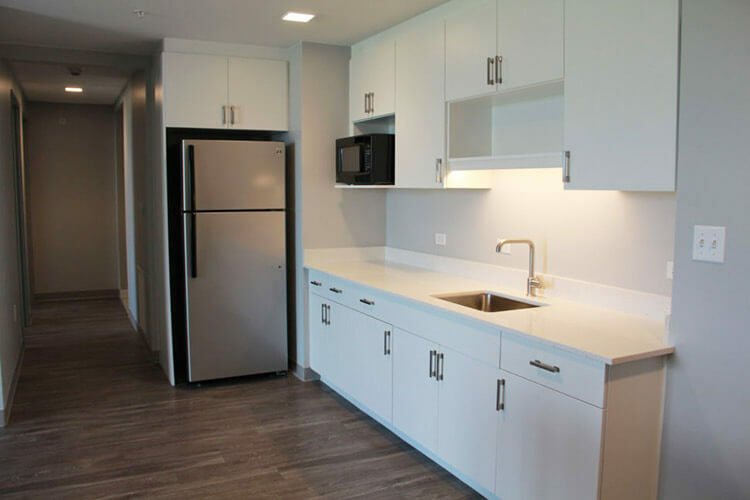 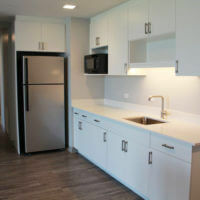 Every suite also has a kitchenette which includes a table and four stools, full-size refrigerator and microwave. 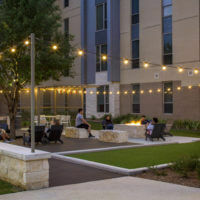 This four-story building gives students views of downtown San Antonio and of our beautiful campus including Dickson Stadium. 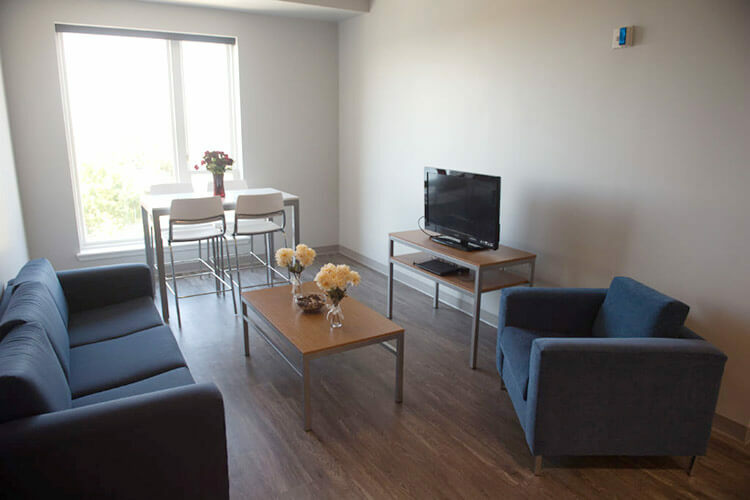 Shared amenities of Périgueux include an outdoor swimming pool and a grill and picnic area.